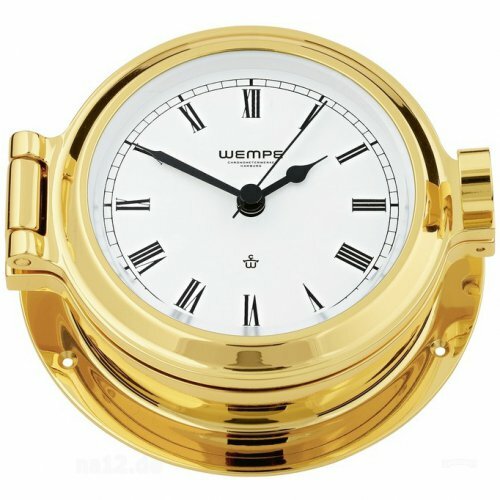 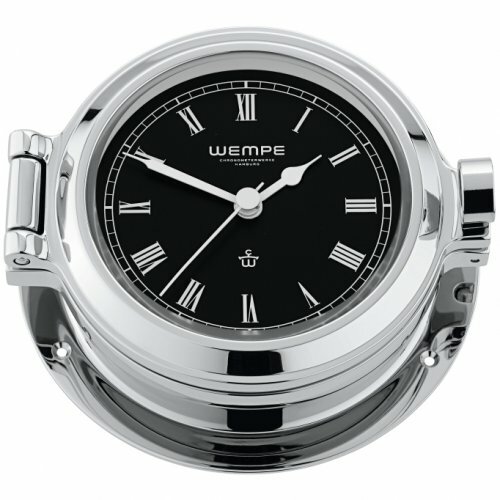 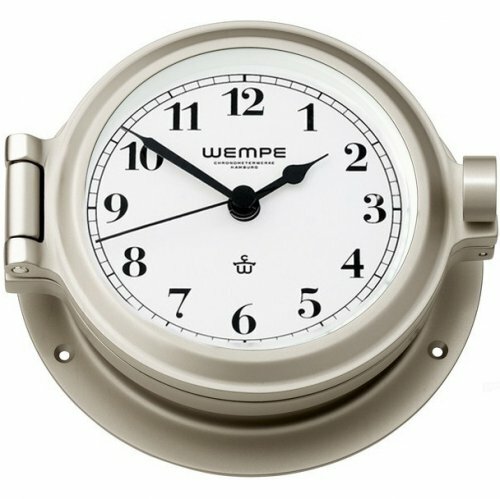 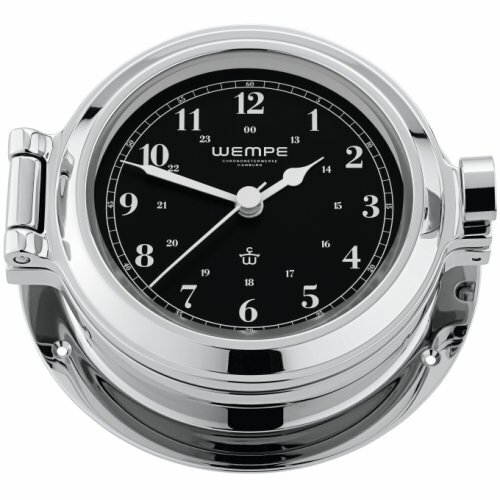 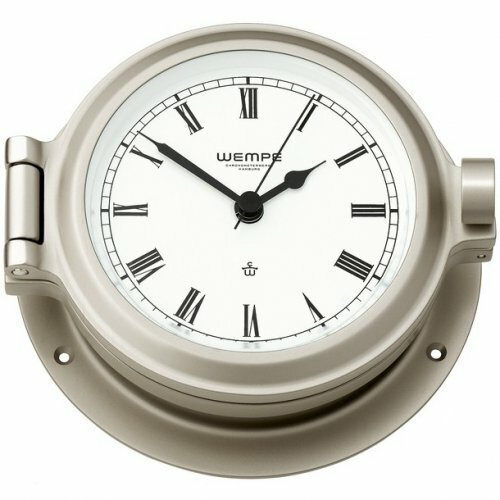 This ship clock of the WEMPE NAUTICAL Series has the traditional porthole design and is powered by a quartz movement. 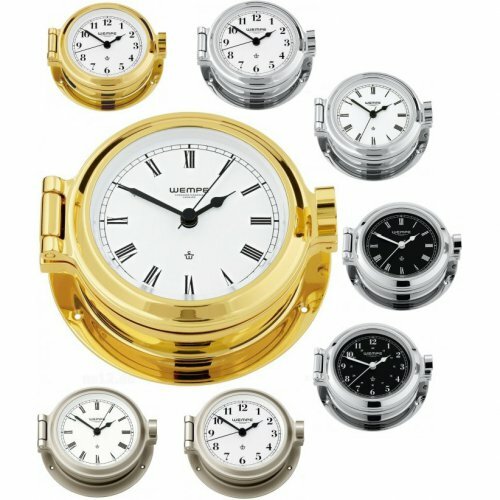 Choose one of three housing types: Colourlessly lacquered high-gloss polished, high-gloss chrome plated, or matt nickel plated brass. The toggle clasp attached to the enclosure makes battery exchanges a child's play. 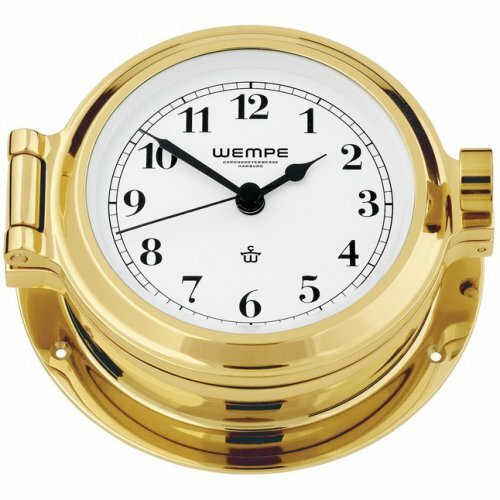 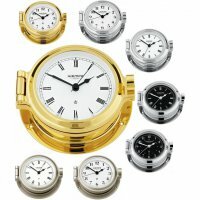 The high-quality WEMPE NAUTICAL porthole clock is 120mm in diameters and has a white 78mm clock face with either Roman or Arabic numerals. 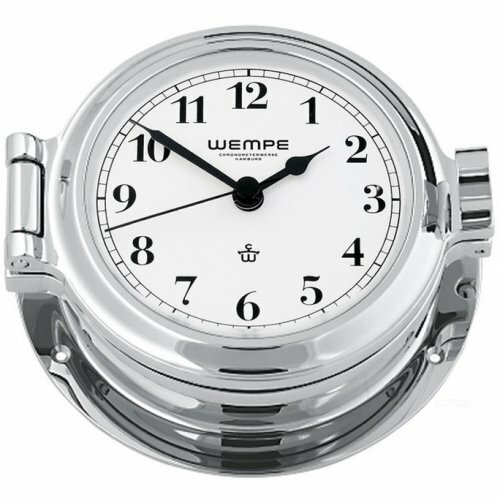 The matt nickel plated housing is also available in combination with a black clock face which makes this instrument even more elegant.